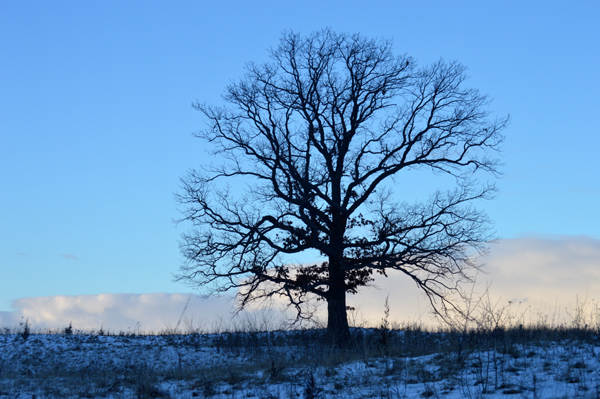 As the sun sets on a cold winter’s day, the beautiful white oak in the field turns blue. 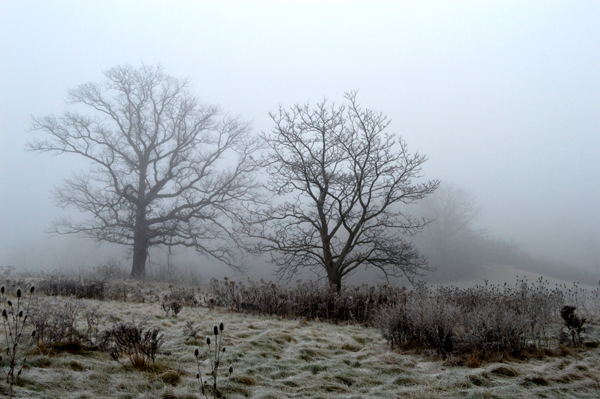 A White Oak and a Catalpa stand together against the winter elements. Just over a week ago we got a bit of snow that melted as fast as it came. 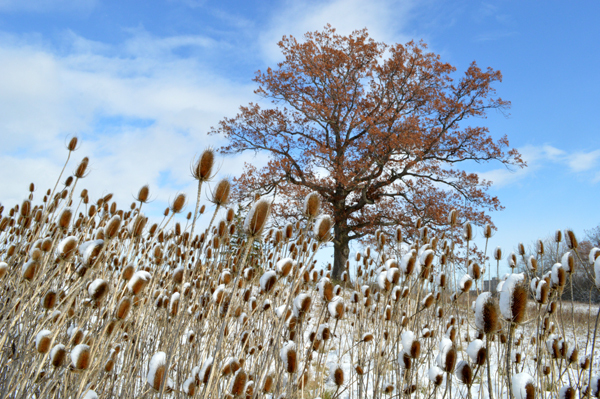 This is a sunny day view of a majestic White Oak on the Parkwood Hospital grounds with that early snow clinging to a patch of teasels.